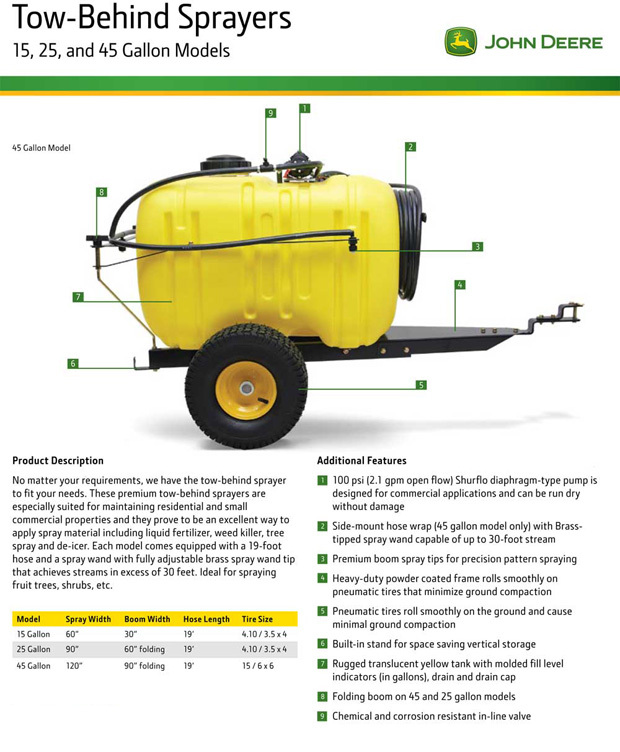 The New High Performance 45 gallon Tow Behind Sprayer offers the ultimate in performance and versatility. 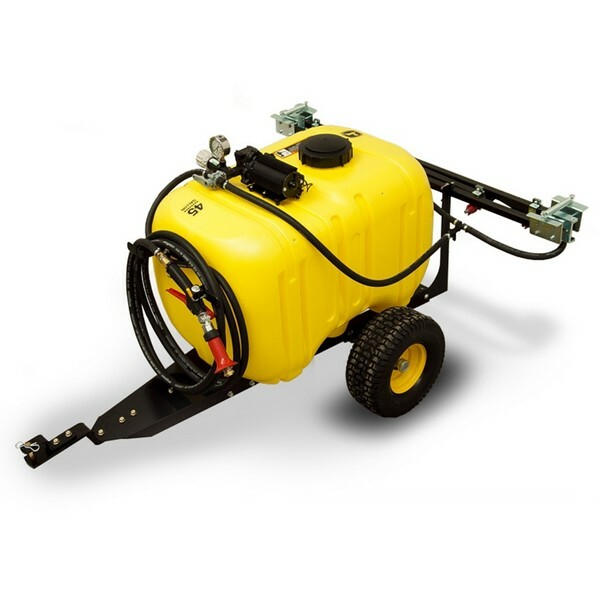 With a 45 gallon capacity, high volume electric pump, and premium pistol grip spray gun, it provides an excellent way to apply spray materials such as liquid fertilizer, weed killer, tree spray and deicer. It is the perfect match for the customer who wants extreme performance. The heavy duty frame rolls smoothly on 15x6 tires that minimize ground compaction and have a low profile, which maintains a low center of gravity for excellent stability. Cover ground quickly with flexible boom options; a 150" precision folding or 24' boomless, or no boom at all. (boom sold separately). Single hand mist to a 35' stream.